From our experience, generalist agencies will often be asked by clients to not just create content assets for a marketing campaign, but also to manage and report on the campaign. If you are new to providing campaign development (such as email marketing, social media, PPR or SEO) with your creative assets, this guide is for you. 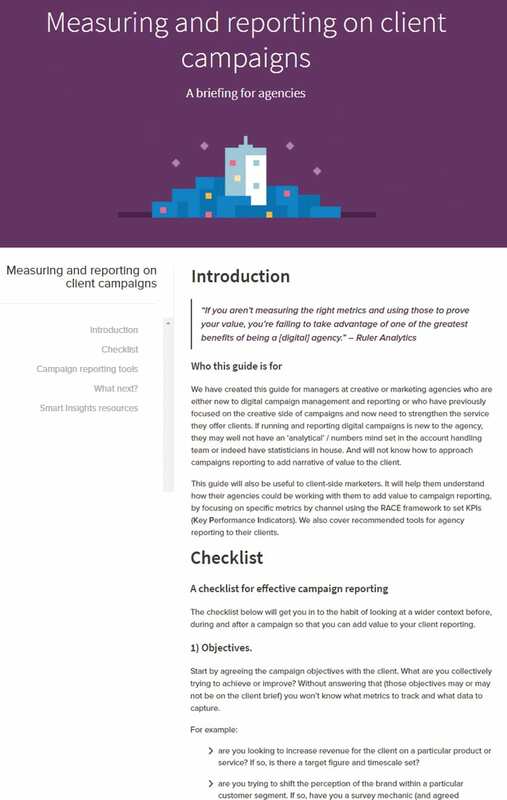 This guide gives you a checklist to help you deliver great campaign reporting and build your ability to optimize campaigns for clients. It is, essentially, a briefing for ‘non-analytical’ agencies or new team members who are unfamiliar with campaign metrics and reporting. Our guide shows you the building blocks of ‘data-driven marketing’, ensuring that data that is important to your client is captured in an effective manner across channels and campaigns for reporting. You’ll then learn how to actively interrogate the metrics and provide a narrative to make the ‘raw stats’ useful to your client. We have created this guide for managers and account handlers at creative/marketing agencies who are either new to digital campaign management and reporting or who have previously focused on the creative side of campaigns and now need to strengthen the service they offer clients. This guide will also be useful to client-side marketers. 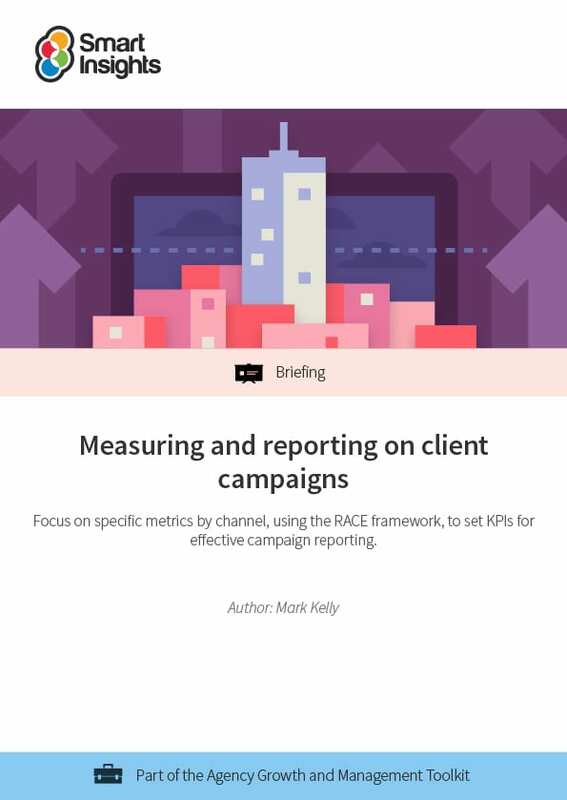 It will help them understand how their agencies could be working with them to add value to campaign reporting by focusing on specific metrics for each channel using the RACE framework to set KPIs (Key Performance Indicators). Mark Kelly is a freelance digital marketing consultant working with agencies and direct clients of Mark Kelly digital consultancy. You can follow him on Twitter or connect on LinkedIn.